At the end of our roundtable, I could not help but to think that my experience as a Leadership Academy Intern has finally come full circle. From the beginning, we were taught to search for the untold stories of our APA community, and to help our communities make their voices heard. At the conclusion of this internship program, I can safely say that the CAUSE Leadership Academy has been the epitome of this belief, with each passing week being a valuable learning opportunity, as well as a chance to put what I have learned thus far into practice. I truly cannot emphasize how much this approach has helped me grow over the course of these nine short weeks. As I prepare to return to my campus, I know that I will return a changed man. I will no longer just have the desire to enact change on my campus, but the knowledge, tools, and experiences to actually make my goals a reality. That is the empowerment that CAUSE strives to impart to everyone who interacts with their organization, and I am lucky to have been a recipient of it. In the Treasurer’s Office, my final week has been defined by the legacy I want to leave behind. 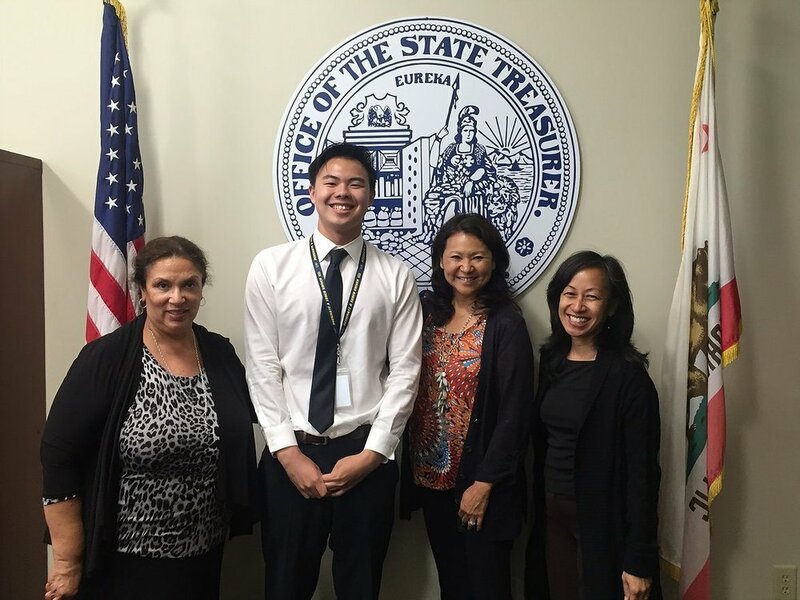 With the arrival of a new crop of interns, I have been presented with the opportunity to guide and give back to those who are coming after me, so that they do not have to encounter the same mistakes I did, and that they are truly prepared to handle the rigors of serving one of California’s Constitutional Officers. Hopefully, they will come to understand the importance of lifelong learning. This is a lesson that the Treasurer has taught me and one that I have tried to teach them. From this experience, I can only hope to learn more and do more with what I learn in preparation for the next chapter of my life.